Do Implantable Cardioverter-Defibrillators Lower the Risk of Sudden Death and Total Mortality in Patients with End-Stage Renal Disease? Although the risk of sudden cardiac death is high in patients with end-stage renal disease (ESRD), it is not clear if such patients benefit from the implantable cardioverter defibrillator (ICD). 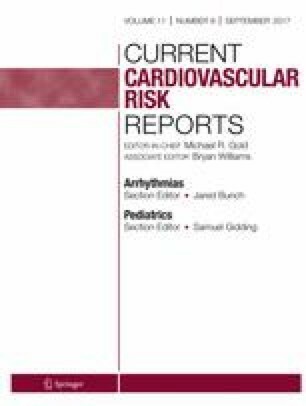 This paper reviews data on the risk of sudden cardiac death in ESRD patients and examines data on outcomes of ICDs in such patients. Data from observational studies suggest that primary prevention ICDs may lower the risk of mortality in patients with mild to moderate chronic kidney disease but not in patients with ESRD. Data on secondary prevention ICDs in the setting of ESRD suggest survival benefit in select patients. The subcutaneous ICD is a promising therapy in patients with ESRD, but more data are needed on its short- and long-term outcomes in these patients. Future studies should examine the outcomes of transvenous and subcutaneous ICDs in patients with ESRD. Drs Al-Khatib, Friedman, Hess, Pun, and Sanders declare no conflicts of interests. A comparison of antiarrhythmic-drug therapy with implantable defibrillators in patients resuscitated from near-fatal ventricular arrhythmias. The Antiarrhythmics versus Implantable Defibrillators (AVID) Investigators. N Engl J Med. 1997;337(22):1576–1583. doi: 10.1056/NEJM199711273372202.